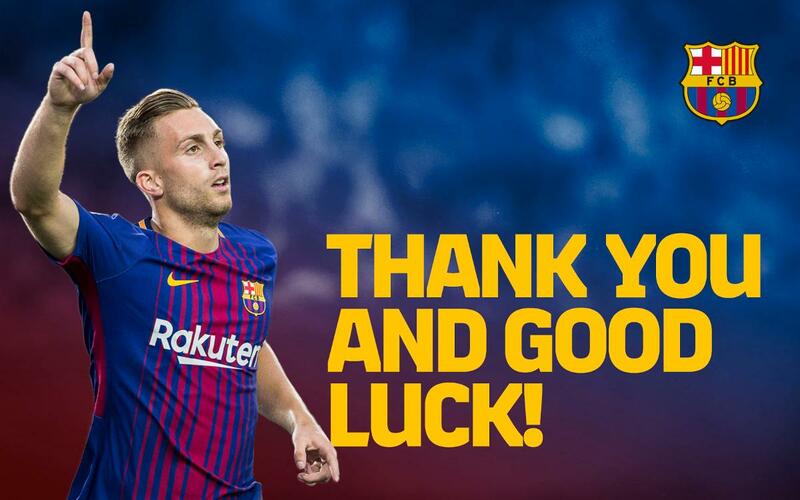 FC Barcelona and Watford FC have reached an agreement for the transfer of Gerard Deulofeu to the English club. They have agreed on a fee of 13 million euros, plus 4 million in variables. FC Barcelona will also receive a percentage of any future transfer operations to other clubs. The Catalan winger entered La Masia in 2003 when he was just nine years old, and eight years later, in 2011, made his Barça B debut under Luis Enrique. In April of the same year, when he was 17 years of age, he was included in a first team squad for the first time and in August 2011 he played his first game. After a period of alternating duties for the first team and the reserves, he went on loan to Everton in the summer of 2013. At the age of 20 years he returned to FCB, but was loaned out to Sevilla FC, managed at the time by Unai Emery. A year later he was signed on a permanent basis by Everton and in two seasons at the Toffees he played 37 games and scored two goals before moving to AC Milan in Italy. His excellent performances at the San Siro earned him a recall to FC Barcelona for the 2017-18 season. Deuloufeu played 17 games under Ernesto Valverde, scoring twice, before being sent back to England on loan, this time to Watford, during the winter transfer window. He played seven games and scored one goal for the Hornets, who he is now joining on a permanent basis.